01 Apr Which Section Of The CPA Exam Should I Take First? I have received many emails asking which section of the CPA exam is the best to take first. 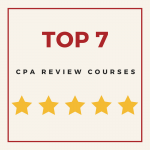 If you are not already familiar with the 4 sections of the exam, please visit my CPA Exam Sections page to learn about them before reading any further as you will need this information to make the best possible decision. The CPA exam you decide to tackle first is a very important decision and can effect how well you perform on the remaining 3 sections. Below I will help you choose which section you should take first to give yourself the highest probability of passing all four sections your first time through. The CPA exam is a marathon, not a sprint. Many people say to take the most difficult section first because once you get that one over with it will be smooth sailing from there. I think this argument is ridiculous. First off, just because you think a section will be the most “difficult” does not mean it will actually be. I remember being nervous when I signed up for FAR because everyone told me it is the most difficult section but in reality it turned out to be my highest score. Another myth I must deflate is that there is not going to be any smooth sailing even after that first exam. Each section is going to be challenging and require you to be disciplined. In contrast to my example above, I remember signing up for the BEC exam and thinking that it would be a piece of cake. After I took the test I felt like I failed for sure and remember feeling foolish for underestimating it just because of my preconceived notions. I promise you that no single section of the CPA exam is going to be immensely harder or easier than the others. Even though you may have a particular skill in one area, that test will still require the same dedication and hard work as the others. My biggest problem with this strategy is it defies common sense. If you choose the most difficult section first then you are giving yourself the greatest chance to fail! I respect the fact that you want to conquer the world on your first voyage but this logic is flawed and can be detrimental to your success. Your first exam should be the section that you feel most confident about passing. I chose Audit (AUD) because I had just finished an audit class in my last semester and I still had all the terminology fresh in my memory. If you have been out of college for a while then you should choose the area that is most relevant to your work. If you are a bookkeeper then FAR would probably be your best bet, if you’ve been doing tax returns for the last 6 months then REG would most likely be your strong suit, and if you have been working in the finance sector then BEC would likely be a good fit. If you are coming straight out of college I would suggest taking a section that relates to a class that you did very well in or have a strong interest and desire to learn about. If no subject clearly stands out then you can always do what I did and choose a class that you just recently took because the information will still be fresh and easily retrievable. Another option is to take one of the shorter exams first. BEC and REG are only 3 hours long and the study materials for these sections is smaller. This will allow you to digest the information much better and serves as a good stepping stone to prepare for one of the longer sections. This is particularly true if you have been out of school for a while and is not accustomed to taking longer more comprehensive tests like AUDIT and FAR. Why Is This The Best Strategy? 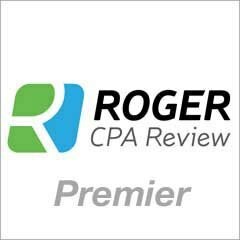 Passing your first CPA exam will boost your confidence through the roof and that excitement and momentum will motivate you immensely for the tests to come. I remember how much easier it was to stick to my study schedule after I found out I passed my first exam. The light at the end of the tunnel becomes much brighter as the reality of becoming a CPA in a matter of months sets in. Please, don’t make this test harder than it has to be and let that first exam overwhelm and drown you in frustration. Play to your strengths and ease into it by taking the section you feel most confident about. I promise you that the wave of energy you get from passing your first CPA exam will give you the motivation you need to CRUSH them all! I have a bachelor's degree of International Economics, and had 4 years of AP and AR experience 8 year ago. Now I want to be an accountant. I did not know the whole system of accounting, only my AP and AR part, which is not that complicated. I am not sure shall I study to get a bachelor's degree of accounting, or some certificate? Or should I directly go to take a CPA exam. 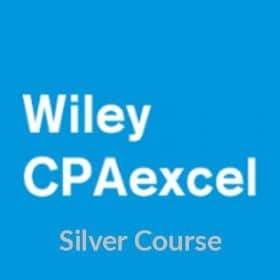 Is CPA exam study will teach me all the knowledge from basic to professional level? Which study materials would you recommend for someone who has been out of college for 20 years and learns best by self study and not videos or classrooms? 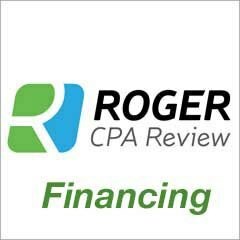 Hi Bryce,I am a tax auditor and I want to start studying for the CPA exam what test would you suggest I take first?? Hi, Bryce! I am a recent graduate with a minor in accounting only. But I am planning to study for the CPA exam. According to the 2017 CPA requirements, are the 150 semester units and 1 year of work experience under a licensed CPA really necessary during the time I take the exam? If I don't have it, is that mean I am not eligible to take the CPA exam?